I must admit that I had never heard of Brodmann pianos from Vienna. The only Viennese piano manufacturer I was aware of prior to the 2010 RMAF was Bösendorfer, and Brodmann's Bernd Gruhn (pictured) enlightened me, explaining that back in the day, Herr Brodmann had been Herr Bösendorfer's teacher. 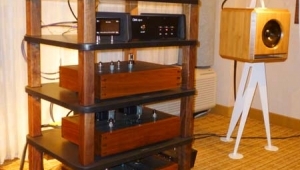 I mentioned that it was a coincidence that a second Viennese piano manufacturer was branching out into loudspeaker productionBösendorfer launched an idiosyncratic line of speakers at a New York Stereophile Show a few years backonly to find out that it wasn't a coincidence at all. 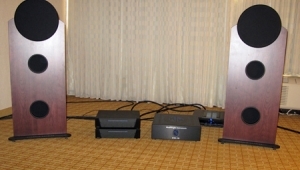 The Brodmann speakers are designed by Hans Deutsch, who had licensed his designs to Bösendorfer. When that company withdrew from the speaker business, Deutsch approached Brodmann. Gruhn told me that unlike the Bösendorfer designs, the Brodmann's vibrating panels, one on each side, are loosely coupled to the cabinet, which reduces the coloration and allows the benefit of the large radiating area at low frequencies to be realized. 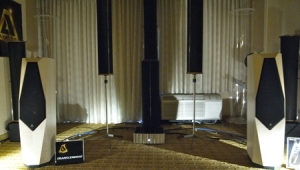 The VC2, which was being demonstrated, uses a pair of conventional midrange units mounted on the sides of the speaker to cover the range from 130Hz to 1600Hz, with two dome tweeters mounted on the front of the cabinet taking over above that region. I disagree with the "color factor" comments. 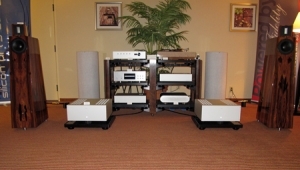 I listened to all three models they had, the VC1, the VC2, and the VC7. They sounded equally perfect playing both piano and violin music as well as vocals, jazz, and rock. 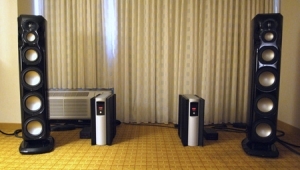 In fact, out of everything I heard in the show, I liked these the best.However, it was clear to me that they needed a much larger room for the VC7 speakers. 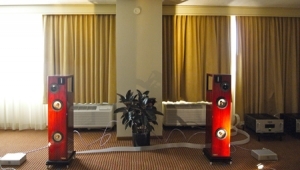 From what I have heard, I would buy a pair Brodmann speakers before investing in anything else. 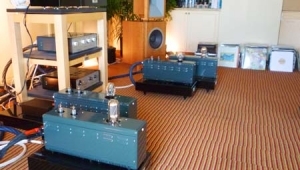 The Brodmann speakers are equivalent sonically to the finest classical instruments resonating in just the perfect way. One could not hope for more. 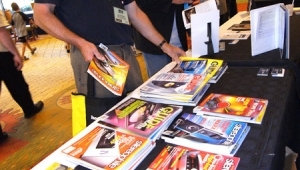 A resonating panel is a receipe for disaster or a "voicing" technique that appeals to people who like to think of speakers as musical instrument: romantic but wrong. A soundboard has no place in a loudspeaker, just as a a wwofer has no place in a grand piano. 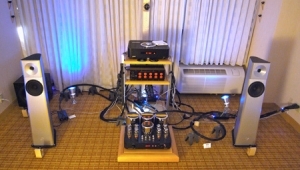 Actually I had the pleasure of listening to these speakers at the RMAF and I found them to be very responsive and gave the "being there" feeling. The "Acoustic Woofer" they spoke about seemed to work very well. No chest pounding and no fatigue, just a clean accurate reproduction.The one thing that I found intersting was the voice quality, the voices always seemed clear to me and natual, one of the guys there explained that it was the fact that the response of the tweeter was not cut off in the middle of the voice range. I was even able to tell the difference between a good microphone recording and one where the Mic was basically over driven.I can't wait to hear them in a better setting than the tiny room in Denver, does anyone on here know if they are going to be at CES? By the way my wife voted them best looking speaker at the show, she also went back for a second piece of choclate. 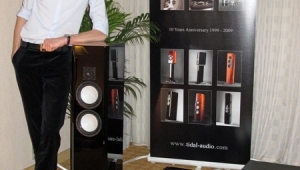 These are by far the best speakers I have ever heard. The idea behind the speakers using sound boards to resonate base, just makes everything sound very full and clear. The sound is simply amazing. 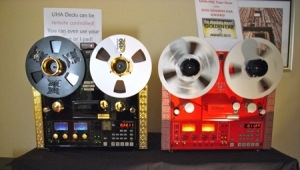 OK, I admit I might not know half as much about audiophile stuff as many of you and I admit I am not a technical guy at all. However, I know I have a very good ear. I am a professional musician. I play professional violin and pretty well piano. I listened to many, many speakers in my life and nothing has more colour, more warmth and more musicallity then the VC 7 Brodmann speakers. Especially on the Mendelsohn piece mentioned above. There is no disaster as one posted by Jonny B.Good. Should those soundboards work or not - technically?? No idea! The fact is they do! 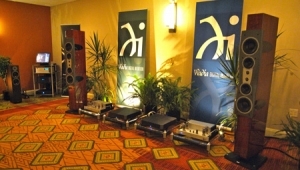 If you want a first class listening experience, I recommend to take time to listen to those speakers. 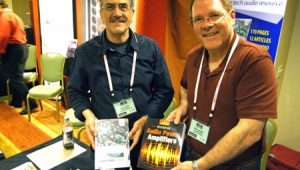 I had the chance to hear them at RMAF and had never heard of them before, but if their marketing is as good as their product - we will hear a lot about them. Simply amazing stuff. Had my own CDs on the RMAF with me and lots of time to listen. 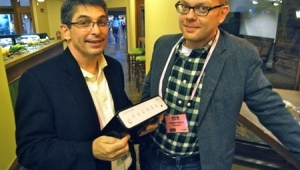 The VC7 was by far the best speaker I heard on the show. 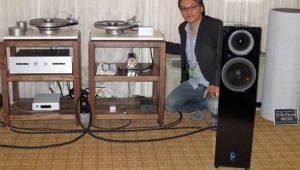 I wonder what these speakers would do in a more appropriate room. I don't care about technology - I listen. Brodmann technology seems to work more than well.